The Incredibly True Adventures of…. So I just came from my Yoga class this morning at it was a BLAST. Besides the challenge Yoga provides for you physically it serves a mental exercise to really focus on your body. Now when I first started my Yoga class I was clumsy, unstable, and lacked focus at best. But what I love most about the classes are the mental focus exercises along with the lessons of peace that they offer. Ok! So what I joined Yoga to wear the cool workout outfits and to get a colorful mat, but the lessons I’ve learned will last an eternity. Before I began my Yoga classes I expected to do some stretching, work up a little sweat, and go home. Moving into my second month of consistent classes I have found myself more relaxed, focused, and less agitated throughout the day. One of the lessons that’s really clear in the class is to “be present, be focused, and to be proud.” This class has challenged me to clear my mind and to totally focus on whatever task I’m doing. Often when I’ve worked out I would find my mind wandering about task I needed to complete before the day is over. Although I would still get in a pretty good work out, I would never fully commit myself to what I was doing. I began to notice that this was something I often did throughout the day. Even in many of the daily task I would complete, my mind would began to think of things I needed to do when that task was over. This can be tiring and can limit you in enjoying the task you are currently working on. This habit I had developed began to really interfere with how I physically and emotionally felt at the end of the day. NOW, when I started Yoga the very first thing the instructor asked the class to do was to clear our minds of everything before our workout. This must have been one of the hardest things I’ve ever been asked to do. I thought to myself “If I clear my mind, what should I think about now?” We were then instructed to only focus on ourselves and the workout we were about to do. For the first time my mind was sharply focused on what I was doing. I felt somewhat relieved and oddly happy while doing these awkward and extreme Yoga stretches. Take a moment to think (or better yet not think) about how often you really focus on the task at hand. You may even be reading this blog and thinking about what you want to cook for dinner.lol Have you ever felt that time is going by extremely fast? You look up and a year has passed and you really couldn’t say that you truly enjoyed it. You were so focused on getting task done that you forgot to enjoy what you were doing. That was me; I would make a list of all the things that had to be completed and never enjoyed any of them. Although I may have joined Yoga, for what many would say were the wrong reasons, it has really begun to improve my overall health. Noticing that I am fully committed to my daily exercises and task has really began to improve how I feel about myself and others. If I can fully commit myself to myself and to those around I will be able to really appreciate life. Are you truly focusing on the task you have at hand, ensuring that you get the most out of it? If not, I challenge you to make a conscious effort to enjoy Life and those around you starting NOW! Walk off 10 lbs! Get Amazing Results In Just Days! ly changed, since cars were invented! No really they have. I can only imagine life before we had cars to carry us everywhere. I must assume many people were in much better physical shape then we are now. Besides the Awesome leg strength they gained from walking everywhere they probably had pretty good cholesterol and sugar levels. With the hustle and bustle of the day, driving to and fro, while working here and there, many individuals don’t make the time to consciously walk for exercise. Although we may walk around in our office buildings or take a quick jog to the car we def don’t get the Ultimate benefit that walking offers. With research linking an improvement in cardiovascular health, blood pressure levels, as well as overall mental and physical health with the exercise of walking on a daily basis, it wouldn’t hurt to take a stroll. Understanding that only 60 minutes of walking everyday can improve my overall health, I have really been motivated to walk every day. Well to be honest, before I knew of all the benefits walking could provide my partner and I decided to make an effort to give our dog’s better exercise every day. Instead of the usual 15- 20 minute walk around the neighborhood park, we decided to give them at least a 1 hour walk in the morning, followed by a 30 minute cool down in the evenings. Within an hour (if the dogs behave) we cover about 3.5 miles, quite easily if I might say. Never having an exact charted path, our walks have turned into the highlight of my day. And to my amazement our daily walks for the dogs turned into a great way to clear my mind as well as an immediate improvement in my cardio and leg definition. Yes, after only two weeks of walking my legs have been in the best shape of my life. Not to mention the decrease in my lower back pain. I recently read an article in the Women’s Health magazine entitled “Walk of 10 lbs. Get Amazing Results In Just Days“, that showed some really cool exercises to include in your daily walk. This was great because the hardest part of the workout is getting out of the bed and after a week or so the walks seem to go by extremely fast. Although this may seem as great news, I am always challenging myself to work harder within the conditions I am in. The article showed some of the basic exercises that we may do as a stationary drill, into a circuit of energy filled exercises that will help you to shed weight and feel great. Exercises ranged from Toe Touch squats, Elbow-Knee Touches, and even Push Ups. What I loved most was that each exercise is done in 60 second increments with a 30-45 second rest in-between. This is one of my absolute FAVORITE types of workouts, one that has been a great mental push as well as the different types of exercises that can be done within one workout. As a competitor I’ve always found cool workout ethics to help improve my performance. When working out one of the most successful tactics I use is “I CAN DO ANYTHING FOR 6O SECONDS”. With this in mind during my workout, time seems to fly by because I’m only concentrating on the 60 second exercise technique. Now….when I say 60 seconds, I mean a 60 second push of whatever you can do. That time is designated to work out as hard as you can and to motivate yourself as much as possible. If you have never tried this before, give it a go during your next workout session and see how much harder you work as well as how quickly your workout will pass by. You can start with walking, running and skipping during your daily walks. The muscle confusion you create during this workout along with the elevated heart rate will give you great results physically and begin to improve your cardiovascular health. Each time you start your exercises you will find it easier to give your best and really push yourself because it’s only 60 seconds, and “YOU CAN DO ANYTHING FOR 60 SECONDS” right? Take the next 60 seconds to click the link below and fill out your information to join our “60 SECOND MMA FITNESS CHALLENGE” Today! me. Starting at the age of 7, martial arts has served as a life guide teaching me the importance of setting goals, being in shape, and treating others with respect. As a martial arts instructor who has benefited greatly from martial arts it is my goal to provide this same opportunity to other students. Living the martial arts lifestyle has contributed to the success of many individuals both physically and mentally. What contributes to the success in your life? As we all are community leaders in some form our job is to use our talents to help contribute to those around us. Does your lifestyle help to contribute to those around you? Asking myself this question, it was not hard for me to decide that teaching those in my community martial arts and fitness was my way of contributing to those around me! To see how I’m living the martial arts lifestyle click the link below. Be Fit, Be Happy, Be Better! Today has been an awesome day! I was up early, made it to my meetings stress free, and I completed everything I set out to do in a timely fashion. That has to be the best feeling when you completed something you’ve started and you’ve put your best foot forward. Take the new exercise program I just began two weeks ago. I can’t honestly say I was the most enthusiastic person about adding a more difficult exercise regimen to my schedule, but I’m always up to the challenge. As the workout starts there is always the mental clock ticking in your mind…you know when class has started and exactly when it will end. You also have the choice to work as hard as you can during the exercise program or to save a little energy so you won’t get too tired. But it feels 10 times better when you give it your all and your trainer yells “TIME” indicating that your workout is over. I mean why would you save yourself when you know you are capable of performing better? This same work ethic that I’ve applied to my exercise routine has also been the driving force in every area of my life. Pushing your self to excel in exercise, work, school, family life, etc. can only benefit you to becoming the best person you can be. Ask yourself am I doing the best that I can possibly do and if not how can I do better? I ask myself this question when I am exercising, when I am working, and even in my personal relationship. Evaluating your life and working to improve both your physical health and mental health will enhance your life in unimaginable ways. So choose to be fit, be happy and I guarantee you’ll be BETTER! Getting in the best shape of your life! Today I challenged myself to be a better person! I will improve my health, how I treat people, and the way I spend my time. Just taking that step has made me feel so much better. Improving my health was the first and most important of these on my list. Although I have an exercise routine and many would consider me in great shape, I know that I can take my workout to the next level. We should always challenge ourselves to work to an even higher level where we will achieve more than we could imagine. Is your health important to you? Then taking care of your body through exercise and eating healthy is something we all can do to improve ourselves. Notice how much easier it is to get along with people when your body feels good. After I have just had a great workout is when is when I’m in the best mood. It’s very relaxing and allows me to clear my mind. Improving how I treat people is something very important to me, and its effects on health are major. As I improve my health through exercise and healthy eating so will my overall disposition towards people and life. Just the last two weeks I have been waking early in the morning to begin a new exercise program and a new eating plan. This alone has improved the number of things completed in the day along with the time spend on those things. Taking care of your body and feeling great about yourself is the beginning of all that the world has to offer to you. By exercising and eating healthy you will begin to feel great in turn improving all areas of your life. Start exercising today!!!! The Truth About Childhood Obesity! Did you know 1/3 children in America are overweight? One out of three….that number is pretty high considering our country has some of the best resources for getting shape. Providing that a large percentage of the school systems give students the opportunity to participate in physical activities during normal school hours. Children activities range from physical education where students learn proper exercise and health care to after school sports clubs that encourage exercise and teamwork through different sports. With these resources available, why is it that we still struggle as a nation with childhood obesity today? What has changed over the last 10 years that childhood obesity has become an epidemic, where resources say that this generation may be the first that will not outlive the previous generation due largely impart to obesity related illnesses. First Lady Michelle Obama’s “Lets Move” campaign reports that children only need 60 minutes of vigorous physical activity each day in order to grow to a healthy weight. Only 60 minutes! There is so much that could be done in that time… watch a complete episode of True Blood, make it halfway through a movie you’ve already seen, catching up on gossip, and some of you even wait 60 minutes to get your hair done! According to the “Lets Move” campaign 8-18 year old youth spend an average of 7.5 hours a day using some type of media ranging from video games to T.V. and computers. That’s a lot of time spend a day on media that could be used for better things, eh? The question isn’t what to do about the obesity epidemic our children face, rather how can we began to reverse and prevent childhood obesity from occurring. There are many plans of action to help motivate both parents and children to begin eating healthy and exercising regularly. Getting exercise and eating healthy will improve the life of you and your love ones. Adopt the “Lets Move” life style and start moving today! Of Course it is!!!! With Mixed Martial Arts, Brazilian Jiu Jitsu, and Self defense becoming more and more popular, the interest women have taken reached a fever pitch. Now don’t get me wrong women have been very much apart of martial arts, but the competitive nature of the sport seemed to be held by our masculine counterparts. Well its 2010 and the Ladies are IN and are moving full steam ahead in some of the most combative martial arts styles practiced today! 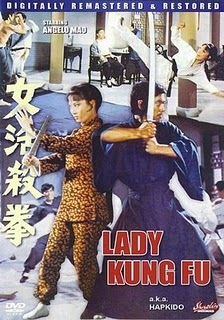 I will never forget as a child one of my greatest inspirations was “Lady Kung Fu”!!! ( Old Kung Fu Intro music playing in the background) If you’ve never heard of her she is the epitome of women’s martial arts. She represented strength, discipline, beauty, and best of all she could fight with the best of them. I would wake up on Saturday mornings looking forward to “ol school” martial arts flicks with my brothers and my dad and couldn’t wait until her movies were shown. I would walk around the house mimicking her swift punches and kicks while quoting lines from the movies. What was always captivating about “Lady Kung Fu” was how she brought her own femininity to a sport seemingly dominated by males, and that I loved. She couldn’t have been more than 5’0 ft. tall, she was just as skilled, and she even managed to use her long beautiful hair as a weapon of choice when she engaged in battle. As a martial artist practicing for over 15 years I have found that girls and women alike are always a little more intimidated to try martial arts because of the stigma that is attached to it. Many women associate it as a male dominated interest and before they associate the benefits of martial arts they choose something the feel is more “appropriate” for women. As a woman who has been involved in martial for such a long time this of course has been a battle because I do enjoy both the comradely of female training partners as well as the honor of introducing something new yet so beneficial to women. When I began teaching an all womens self defense and Brazilian Jiu Jitsu class this allowed a wide range of women to come and participate in class. Women ranging from top competitors to those who just enjoy coming in and learning something different and fun. In the next few weeks I will be hosting an exclusive Womens Brazilian Jiu Jitsu and Self Defense class in Washington DC. This class focuses on the importance of awareness, prevention, streetwise precaution and most importantly, self-defense! This class will teach women to find the power within themselves to protect themselves from becoming a victim. To register for this class visit www.chaw.org or call 202-547-6839. See ya there! I recently went to the playground with my family the other day a and had the joy of playing on a new millenium playground. Although the colors were a little brighter than those I remember playing on. And perhaps the equipment was high-tech, with gizmos and gadgets that we didn’t have. They even had a mini rock climbing wall with chains and ropes. But some of the most valuable playground equipment we used, children today have never experienced or heard of. Take the”Merry- go- round” for instance (my favorite activity in kindergarten), not only is it great physical activity for kids but it teaches them the importance of team work. 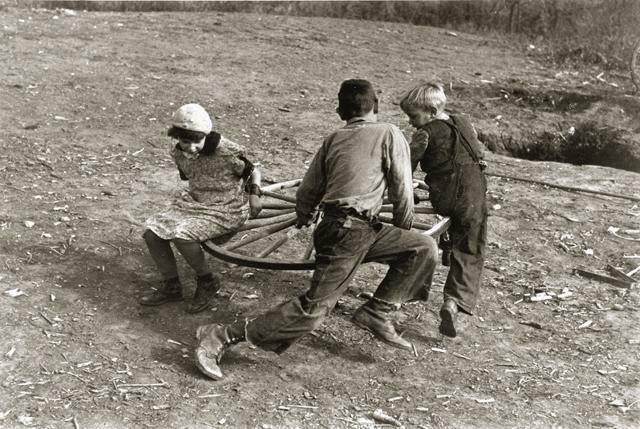 When trying to successfully push a “Merry-go-round” children have to learn to work together, usually there will be a set number of those who push, those who run, and those who get to just cruise. I was always a runner! It taught us that everyone had a part to play and every one was important. We knew that we all needed the others in order to keep the “Merry-go Round” going. 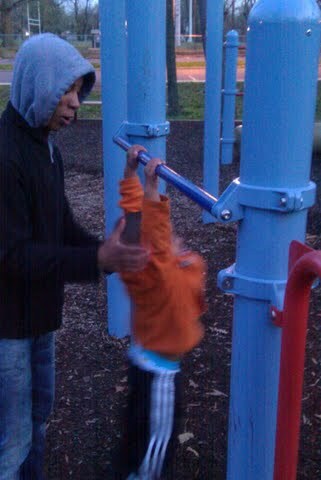 I remember somedays when the pusher would be sick or a runner would be in time out and some one would try to fill in…. for some reason it NEVER felt right!!! We all have roles, even at five we managed to learn so much from something so simple, huh? I learned about teamwork at very young age and I know the importance of working together to reach you goals. The most important thing in team work is knowing your role and appreciating the role of others. Mike and I have really made teamwork the mission of EastonsMMA . The same principles I learned on the school yard at five have given me the opportunity to travel across the globe and compete brazilian jiu jitsu. So Thank You Orr elementary “Merry Go Round” Crew Kindergarten Class of 94!!! Do you have the Magic Eye??? Pleasssse tell me you remember what this picture is! Its called the “Magic Eye”, you stare at it for a long time and another clear image shows up. If you haven’t done this before take the time now…get really close to the computer screen( your nose should be on the picture), now look at the middle and focus on the distant image until 4 squares appear, once you see the 4 squares move image away slowly further and further until the image appears. Now I’m not going to tell you the answer because I want to see if you have the magic eye…also I have yet to figure it out myself.lol I’m not very good at solving the “Magic Eye” puzzles,but I use that same concept with something that has really began to help me focus more, pretty much in every area of my life. Its called a Vision board! Ummmm what the heck is a vision board you may wonder?!? We have the things we have and we are the people who we’ve thought about becoming. 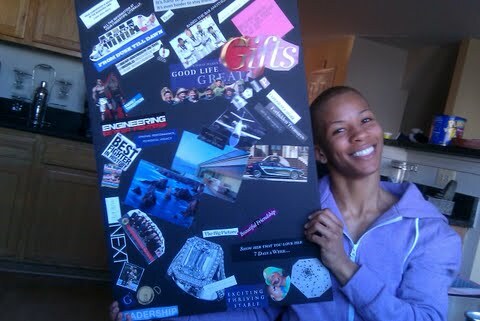 A vision board is your conscience way of telling your conscience what you want and how you’d like to see it. Take my board for example , I have pictures of Eastons MMA with logos and quotes that will encourage me to work hard toward my goals everyday. I also have luxury items such as cars and a really nice wedding ring:-) Just naming a few of my things, but your board can have what ever it is you want to accomplish in life, nothing is too BIG. The BIGGER the BETTER. You can get your family and even your friends involved. Everyone should sit and look through magazines and find words and pictures that motivate them. You should look at your board every morning before you start your day as well every night before bed. This exercise will help you to begin focusing on the things you want and less about the things you don’t. I keep my board at the work table during the day, when ever I am working or even taking a break I can see my vision board all day long. If you have any goals in life in family, work, or play and you want to stay focused then you should defiantly try a vision board!!! I didn’t say that the pasting and cutting the pictures out was fun, but hey I think it was worth it.